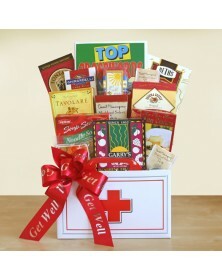 If you know someone in need of sympathy, send one of our gift baskets. 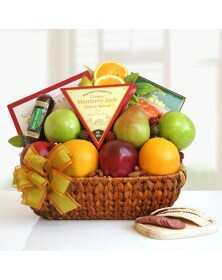 Each combination of fruits, sweets, savory items, and beverages shows you care, and these delicious foods help brighten someone’s day. 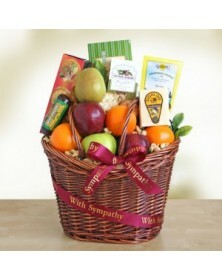 For friends and family going through a difficult time, our sympathy gift baskets are a great reminder to show your support and indicate you’ll be there for them. 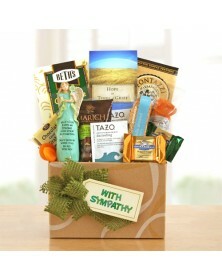 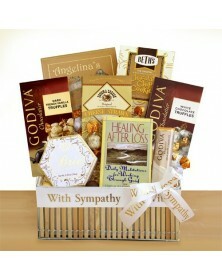 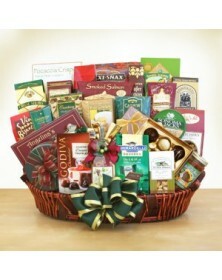 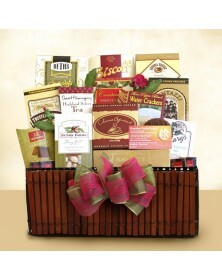 Our selection includes sympathy gift baskets large and small for all tastes. 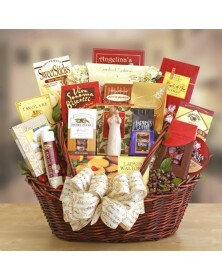 Dried apricots, and chocolate toffee almonds. 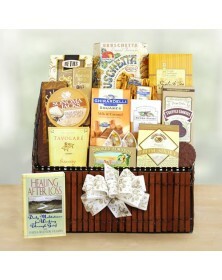 A Ghirardelli chocolate bar and a crossword puzzle book.